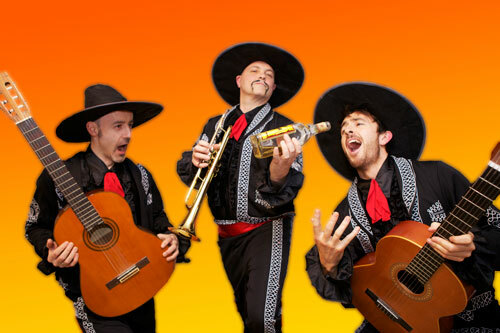 This crazy trio of rock-pop loving Mariachi musicians, will wander among your guests and perform a variety of popular songs in a Mariachi style! 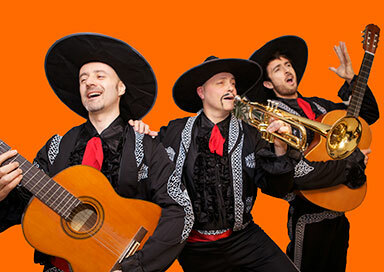 This is a Mariachi band with a difference as they perform pop songs in a cabaret Mariachi style. 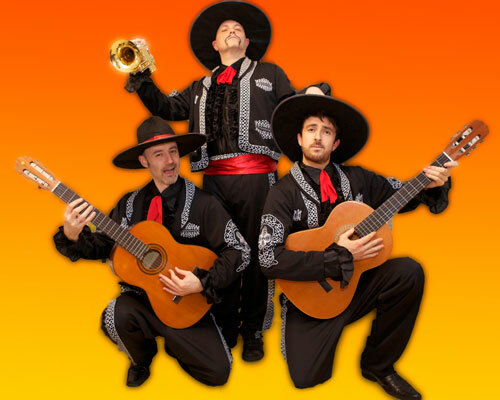 They will do their best to accomodate requests on the day, will target any particular team leader / man or woman of the moment for special attention and will have your guests toe tapping and singing along. A typical performance would be an hour of acoustic music, perfect for a wedding or corporate reception, or as an unusual and unforgettable dinner entertainment, but they can provide full PA and lighting if we they are required to perform from a stage or other performance area. They are an ideal act for corporate events, private parties, sports events, product launches, from the biggest and boldest to the most intimate of affairs. 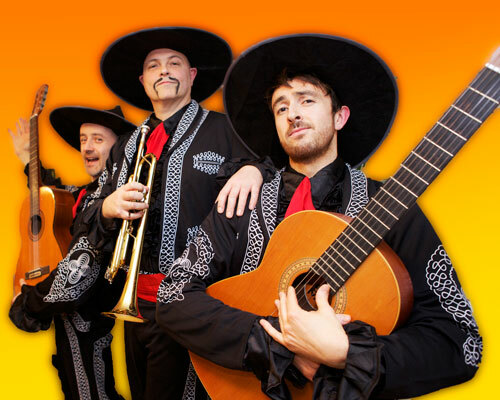 For something a little different and totally memorable, book them and join their Mexican Wave!! !